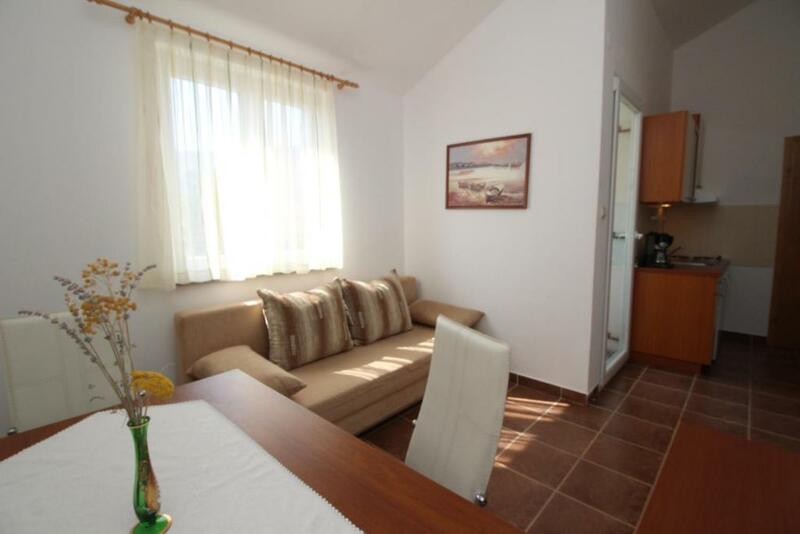 Lock in a great price for Apartment Bebek Gorica – rated 9 by recent guests! 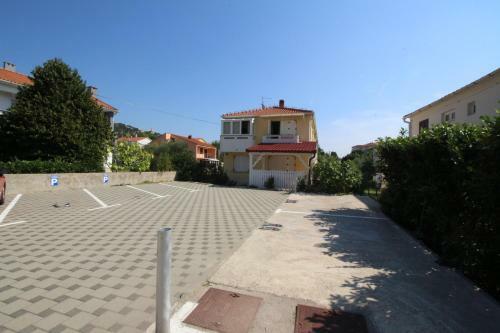 Apartment Bebek Gorica offers accommodations in Baška, a 7-minute walk from Baška Bus Station and half a mile from Baška Riva Promenade. 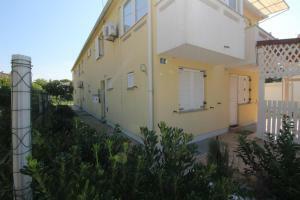 The property is a 15-minute walk from the Baška Port and features free WiFi. The 1-bedroom apartment comes with a living room with flat-screen TV, a fully equipped kitchenette with fridge, and a bathroom with a shower. St. Lucy Church in Jurandvor is 1.1 miles from the apartment, while St. Marc Church is a 12-minute walk from the property. 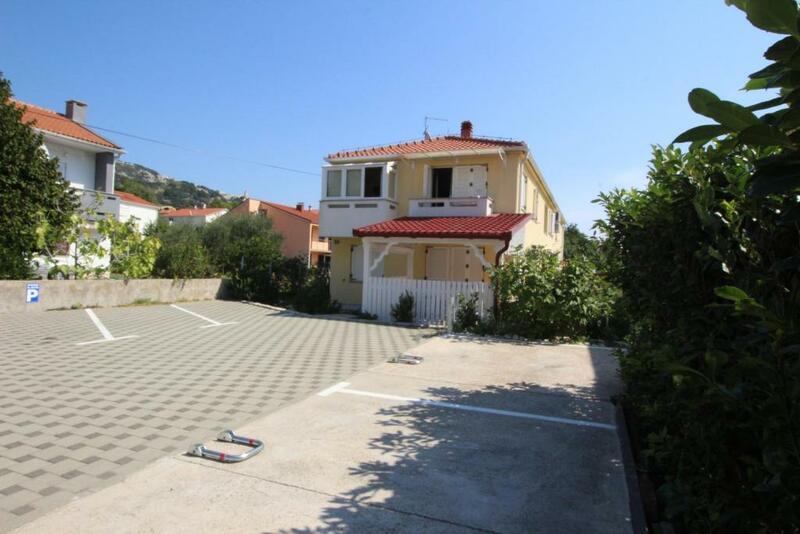 뀐 Located in the top-rated area in Baška, this property has an excellent location score of 9.1! When would you like to stay at Apartment Bebek Gorica? This apartment features a spa bath, air conditioning and patio. House Rules Apartment Bebek Gorica takes special requests – add in the next step! 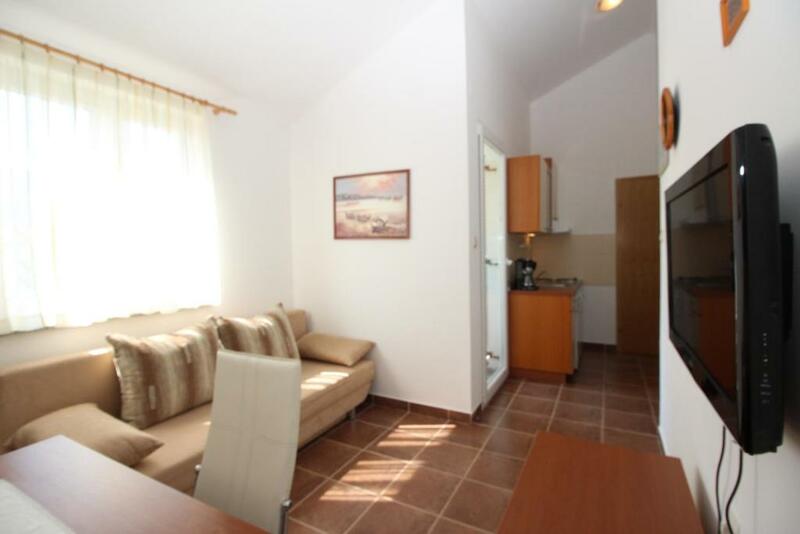 Please inform Apartment Bebek Gorica of your expected arrival time in advance. You can use the Special Requests box when booking, or contact the property directly using the contact details in your confirmation. No wifi in the building. But free town wi-fi available. Very comfortable studio consisting of 2 rooms ( bedroom and living room). Big table with 4 chairs. You feel liek in your hoem with so much space for 2 people. Really big and comfortable bathroom. Hot running water available at all times. A set of towels available for each person. Plus, towels were changed after 3 days:) Excellent. Very well equipped kitche with lots of pots, plates, bowls, glasses, cups, good choice of cutlery and crockery. Nice big balcony with lots of shade. Nice view onto the mountains. Clother dryer available. Quiet and peaceful area of town, safe, closed car park. Worth considering for couples who like a rest.